What’s next for Nickelodeon? Deadline reports the network is expected to renew Henry Danger for a fifth season despite the recent dismissal of co-creator Dan Schneider. 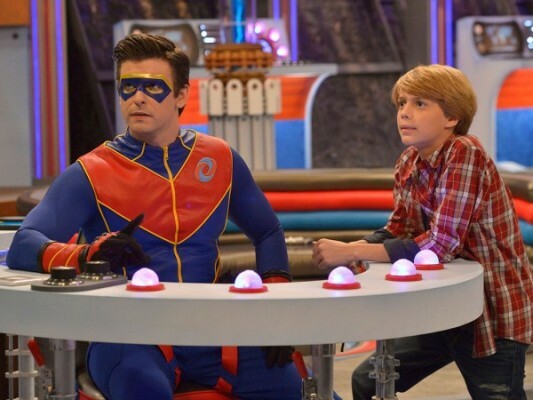 A live-action comedy, Henry Danger follows 13-year-old Henry Hart, the sidekick to a superhero called Captain Man. The cast includes Jace Norman, Cooper Barnes, Riele Downs, Sean Ryan Fox, and Ella Anderson. According to Deadline, a fifth season renewal is expected for Henry Danger, but the fate of the animated spin-off The Adventures of Kid Danger remains unknown. Reportedly, Nickelodeon has parted ways with series co-creator Dan Schneider amid multiple reports of inappropriate behavior. Nickelodeon has already cancelled another of Schneider’s series, Game Shakers. What do you think? Have you seen Henry Danger? Would you and/or your family watch a fifth season? More about: Henry Danger, Henry Danger: canceled or renewed?, Nickelodeon TV shows: canceled or renewed, The Adventures of Kid Danger, The Adventures of Kid Danger: canceled or renewed? I don’t care if the show lives or dies, all it ever is, is a cheesier, more blatant ripoff of the 1970’s SatMorn superhero TV show ElectraWoman and DynaGirl. Besides, I wonder how new Nickelodeon CEO Brian Robbins would react to the show being set in Swellview, a cheesy take-off of the the CW’s Superman prequel Smallville (which Brian was also one of its exec. producers, only to have it twisted around and cheesed up by one of his longtime associates, Dan Schneider). Love the show very much I can’t wait till the next season of Henry Danger. I don’t want the series to end me and my family love it. Please don’t cancel the show. I love it and so does my sister. Yes I’m so happy for a fifth seaso. The cast and show is great! Yess I’m so happy for a fifth season. The cast and show is great!